TRENTON -- New Jersey Gov. Chris Christie has the worst approval rating for any governor in states surveyed by one pollster in more than 20 years. A Quinnipiac University poll published Wednesday shows that 15 percent of voters approve of the Republican's job performance. Eighty-one percent disapprove. The university said it's the worst gubernatorial approval rating surveyed by the poll in more than two decades. 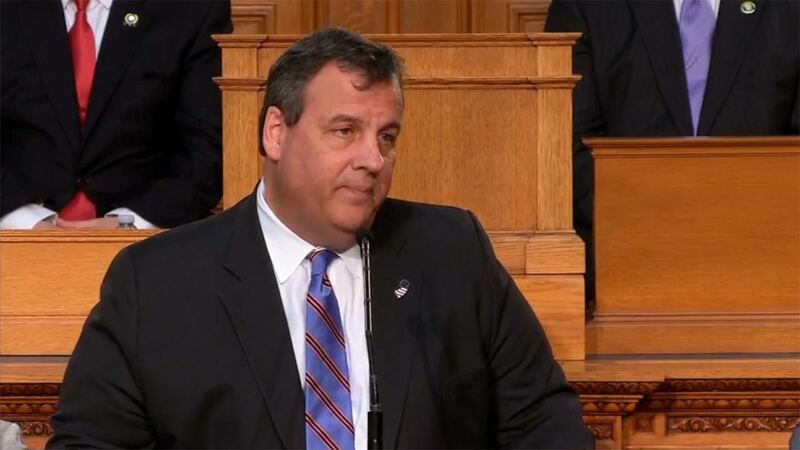 Christie's approval fell three points from 18 percent in the May survey. Christie declined to answer questions from reporters about the poll after an event Wednesday. The survey also showed that Democrat Phil Murphy is leading Republican Lt. Gov. Kim Guadagno 55 percent to 26 percent in a head-to-head matchup ahead of November's election to succeed the term-limited Christie. Guadagno has tried her best to separate herself from Christie, even after running with him twice. The poll also found that Guadagno's time as Christie's lieutenant governor led 54 percent to think less of her. Nine percent said it improved their opinion of her and 35 percent said it had no effect. The poll surveyed 1,103 voters and has a margin of error of plus or minus 3.8 points. Christie has been dogged by negative headlines in the state, led by the George Washington Bridge lane-closing case in which two of his allies were convicted and another pleaded guilty to plotting to close lanes of traffic as revenge for a Democratic mayor who wouldn't endorse him. Christie has made a big push this year to address the state's opioid drug epidemic, including a series of commercials he is featured in, and has also begun frequently taking questions from the press again. He has also been an outspoken supporter of Republican President Donald Trump, who has a 66 percent disapproval rating in the state. Beyond New Jersey, Quinnipiac does polls of governor's in Colorado, Connecticut, Florida, Iowa, New Jersey, New York, Ohio, Pennsylvania and Virginia.